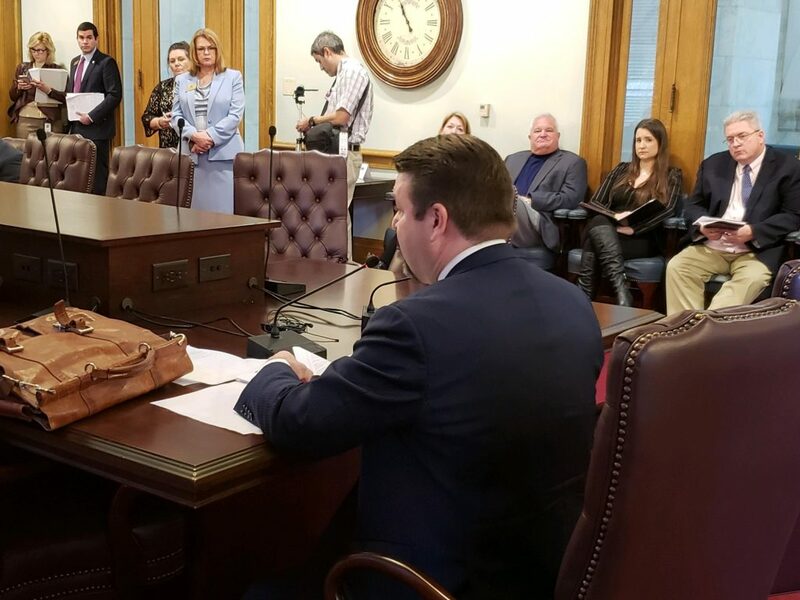 Sen. Jason Rapert (R – Conway) presents S.B. 149 in the Senate Public Health Committee meeting. 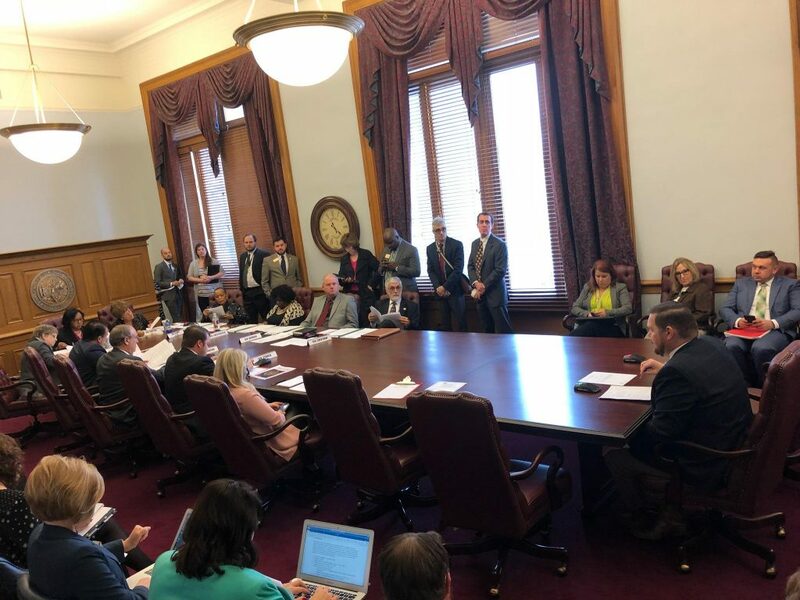 This morning Arkansas Senate committees passed two really good bills. The first was S.B. 149 by Sen. Jason Rapert (R – Conway). This good bill prohibits abortion in Arkansas if Roe v. Wade is overturned by the U.S. Supreme Court. S.B. 149 garnered a lot of testimony and discussion, but in the the end the Senate Public Health Committee passed the bill. Arkansas aborts, on average, 3,000 – 4,000 children every single year. If the courts reverse Roe v. Wade, this good bill could save thousands of unborn children in Arkansas. The second bill was S.B. 156 by Sen. Bob Ballinger (R – Berryville). This good bill prevents public colleges and universities from squelching free speech on campus. In some states students and faculty have faced discipline and discrimination for sharing their faith or expressing their deeply held convictions. S.B. 156 helps prevent public colleges and universities from imposing these unconstitutional restrictions on students and faculty. It protects students’ rights to peacefully assemble, speak, share literature, and exchange ideas. Sen. Bob Ballinger (R – Berryville) presents S.B. 156 in the Senate Education Committee meeting. This morning S.B. 156 passed the Senate Education Committee. These are two good bills that Family Council strongly supports. S.B. 149 will save the lives of unborn children in Arkansas if the Supreme Court reverses Roe v. Wade, and S.B. 156 will protect the rights of students and faculty to speak and act on their convictions. Both bills now go to the entire Arkansas Senate for a vote. You can contact your state senator about these bills by calling (501) 682-2902.